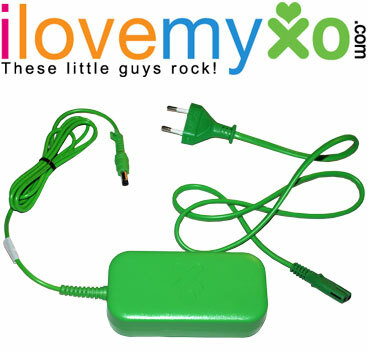 OLPC green "floor brick" power adapter with detachable power cord. Cord with North American (U.S) plug (two flat blades) or European plug (two round pins). For ALL XO models (XO-1, XO-1.5 , XO-1.75 and XO-4) . $13 plus single $5.50 shipping (USA) per invoice. Stock greater than 100. Subsidized discount for deployments. $30 plus single $6.75 shipping (USA) per invoice. Stock greater than 100. Subsidized discount for deployments. Base Upper Assembly (BUA) for XO-1 / XO-1.5 now in stock at $18 plus $6.75 shipping (USA) per invoice. Keyboard for XO-1.5 at $12 plus shipping. The BUA contains a keyboard and the one-section touchpad. The the keyboard alone is not compatible with the XO-1. Limited quantities. Assumes buyer has standard USB A/B cable (USB printer cable) for connecting adapter to PC or MAC. Cable must have original "square" B connector -- NOT newer "flat" B connector. Sparkfun version with mini or micro "flat" B connector (specify). $25 with $ 15 refund for recycling. Includes 12 inch cable to XO. USB A/B cable not included. For micro version use a USB charging+sync cable. FTDI-V3V-PCB circuit board. No USB cable needed -- plugs directly into USB port. $25 with $ 15 refund for recycling. Includes 12 inch cable to XO. By special order, XO-1 cables can be supplied for other serial adapters. 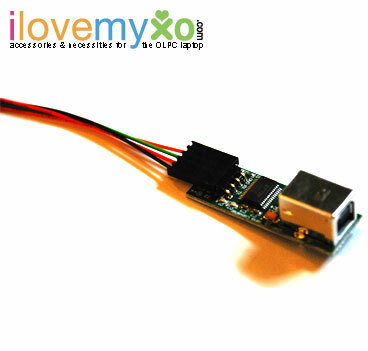 Also avaliable is a cable for direct connection to a serial port of a second XO . This consists of two connectors and three wires (GND, TX RX) with a length of 12 inches. Direct Serial Cable at $ 10 (USA. plus $ 2 shipping if shipped separately). Requires current firmware version. See: Direct serial port to serial port cable . For generic power adapters with 5.5mm/2.1mm plugs to XO power jack (5.1mm/1.70 mm for 1.65 mm center pin). $15 per set of 10 plus single $5.50 shipping (USA) per invoice. (Single item $5.00, including shipping (USA) by first class mail. Power plug (black) with 3 inch cable (previously listed as '"loose plug" from power adapter) . This is not an original OLPC part, but the plug dimensions match the original. Included cable length is much shorter. It is a replacement for the plug on the power adapter or for making custom power cables for multi-outlet power supplies. Price is $ 0.75 each plus postage. The price of one plug is $4.00, including shipping by First Class mail. 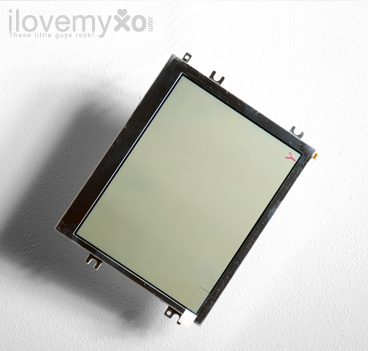 Batteries are available on eBay -- search on "olpc xo-1"